We went out for a short hike yesterday to enjoy the warmer weather outdoors. My wife chose our destination this time. 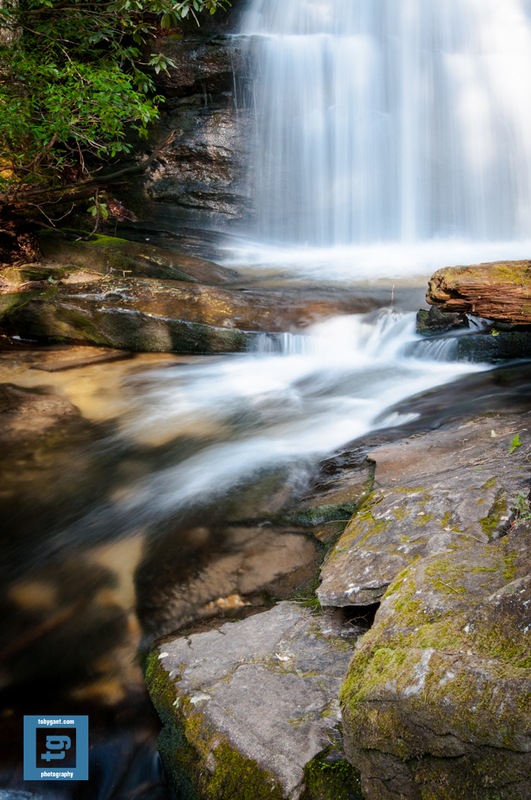 She selected a short hike along the Appalachian Trail that leads to Long Creek Falls. The drive up was almost as fun as the hike itself. We traveled almost 10 miles one way on a small forest service road. There were sweeping panoramic views of the Blue Ridge Mountains and much of the road travels along the creek. Once on the trail, there were a couple of side trails that lead to smaller unnamed falls. (I’ll have to explore them on another trip.) The view at Long Creek Falls is worth the drive and short hike. It is a beautiful forested area. The falls were full. Unfortunately, for me the sun was facing the falls and to call it mixed lighting would be an understatement. It was extremely harsh lighting in the afternoon. There was no possibility of capturing a gallery image unless I waited until the sun had set behind the mountains. And frankly, I was happy to have my family along and did not want test their resolve. I walked away knowing I had lost this round. But, I will be back and when I return I will go in the early morning hours to make sure I have time to get a gallery quality image. This image of the falls was captured with my 16-35mm f/4, tripod mounted and using a circular polarizer. You can find my gallery images at http://www.tobygant.com/gallery-images-2/. Thanks as always for stopping by. This entry was posted in Nature, Photography and tagged #nature, #photography, #tog, #togs, photography, waterfall by tobygant. Bookmark the permalink. I loved this blog and picture and just wanted to repost for the enjoyment of my readers as well. Stunning! Thank you for the likes on my blog. I will revisit soon.